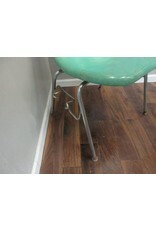 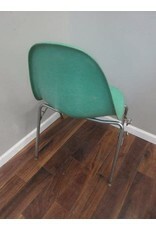 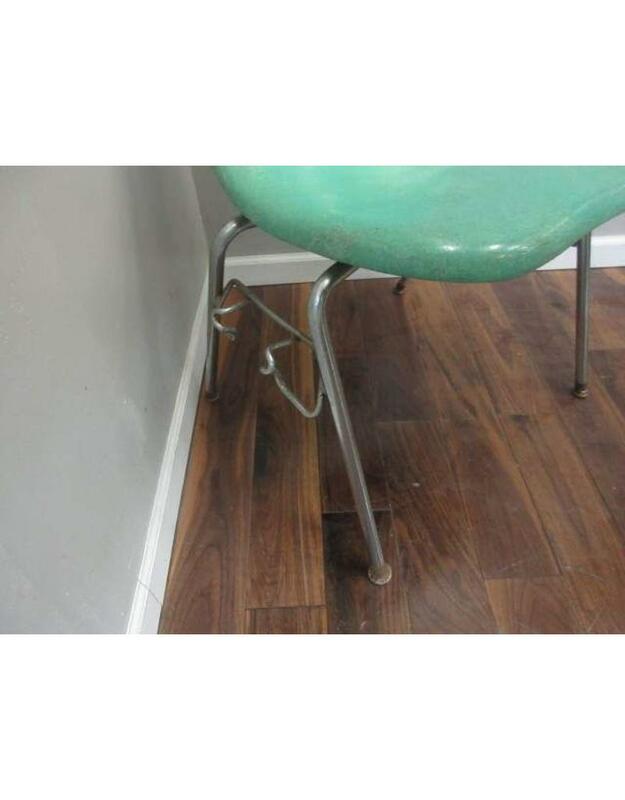 Vintage, mid century era molded side chair in great condition. 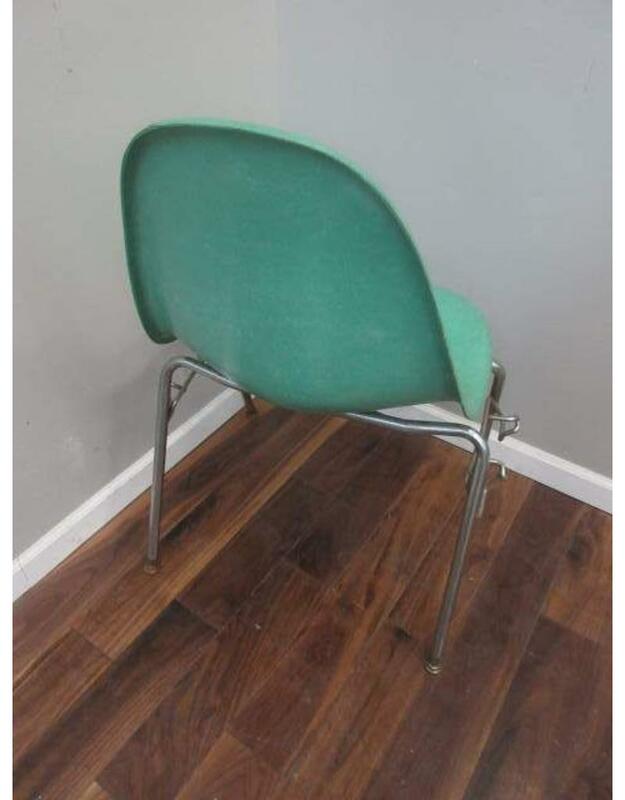 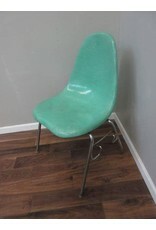 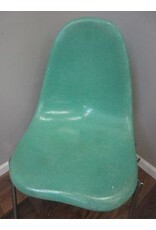 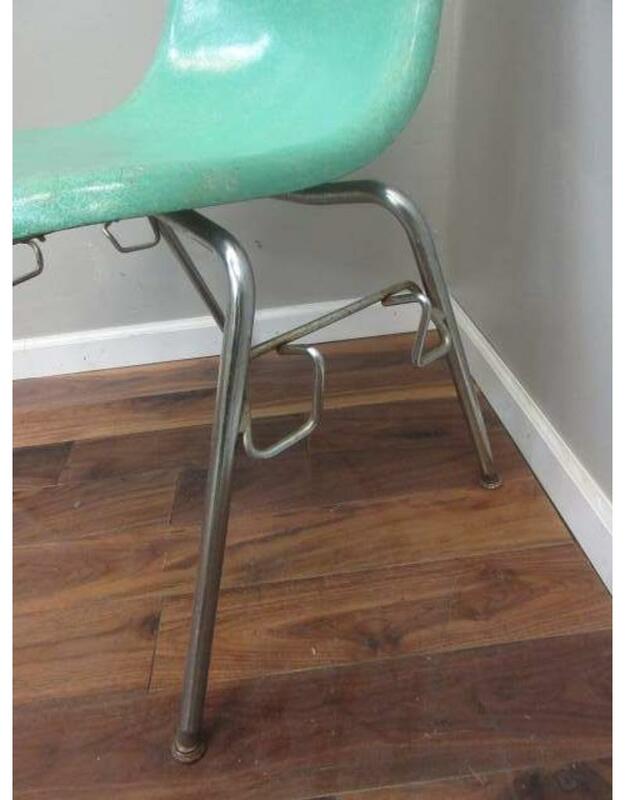 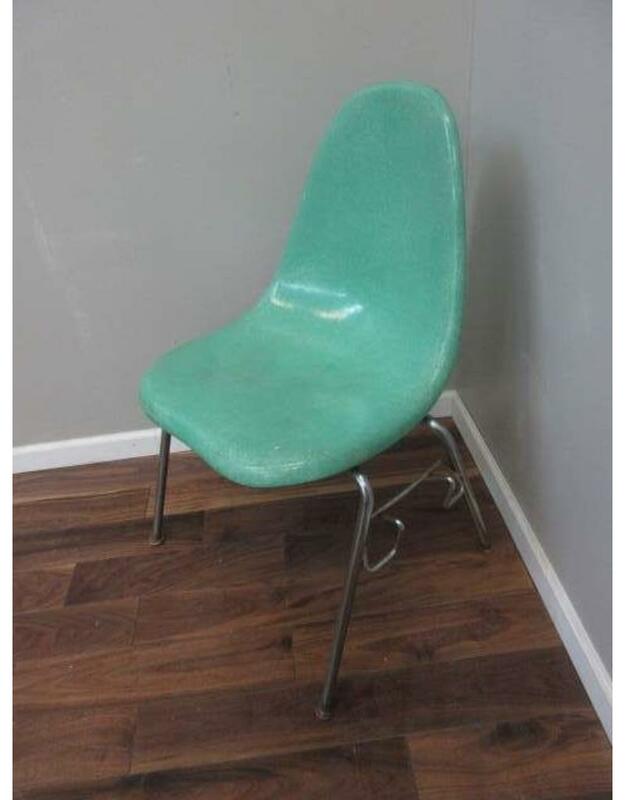 The fiberglass seat features a turquoise hue with a touch of green undertones. 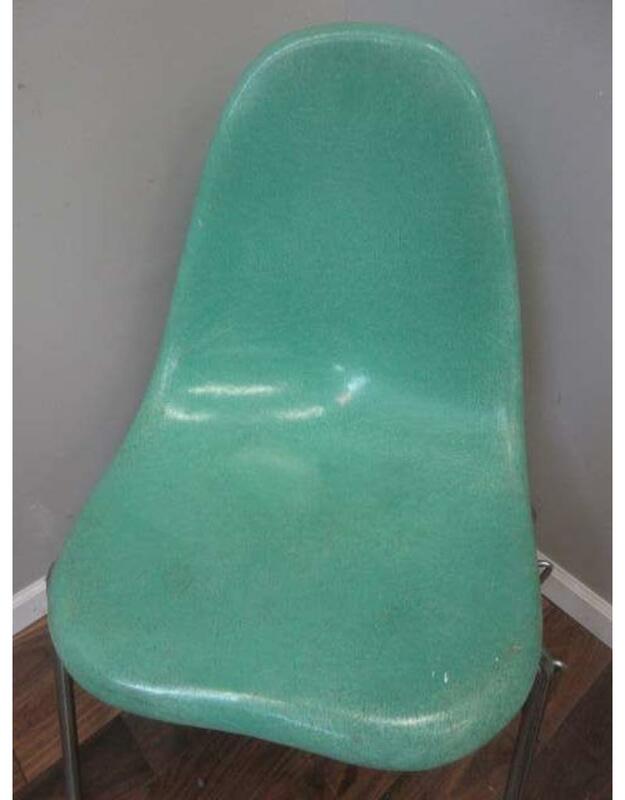 Seat is in very good condition, free from chips or cracks. 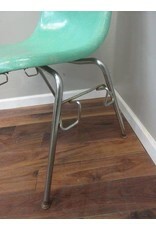 The metal base does have a few small spots of rust present.